Nguyen Cong Tri was born in 1978 in Da Nang, Vietnam. He graduated with an industrial design bachelor degree in Saigon in 2001. He marked his first step into fashion with a sequence of recognitions from renowned awards: New Idea of Vietnam Collection Grand Prix 2000; Bay FM Award of Asia Collection in Makuhari, Japan; Second runner-up of Asia Fashion Collection in Singapore 2001. From 2002, he has been known as a fashion designer for A-list Vietnamese celebrities under his eponymous brand, NGUYEN CONG TRI, which was the first couture house established in Vietnam. Throughout his devoting 10 years in fashion industry, he has incessantly showcased his collections (named No.1 to No.10) in notable fashion events such as Vietnamese International Fashion Week and Tokyo Fashion Week. He has won prestigious domestic awards as well as Not Just A Label Black Sheep category. 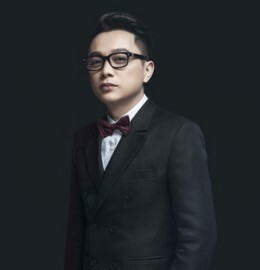 In 2014, he was the first Vietnamese member acknowledged by Asia Couture Federation. The year 2016 witnessed the origin of his subsequent luxury label CONG TRI. The brand boasts with elegance, poise, finesse and continues to expand its top-notch customer profile, from celebrities to influential social icons in Vietnam. World-class stars like Rihanna, Katy Perry, Gwen Stefani, and Jacqueline Fernandez are known to be a few names of his international clientele. One of his most significant career milestones was his collaboration with Katy Perry for her “Witness: The Tour”.